A rising majority of people are browsing the Web using their mobile phones with the use of Wi-Fi, or mobile/cellular data while on the go. While transfer speeds are getting faster, telcos limit the number of bytes you are getting to a monthly quota or allowance. 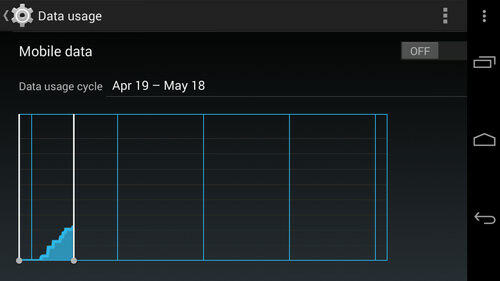 If you exceed your quota that, subsequent web browsing will be slow down greatly, throttled by your ISP. Alternatively, you will be charged for further browsing activities. If you are an avid surfer or you need to always be connected to the Internet for work or study, you could get a mobile plan that gives you a higher quota, if your budget provides for it. However, there is also the option to manage your usage of your current data plan in order to get full use out of every byte. Here are 10 tips to help you outlast your monthly mobile data plan. 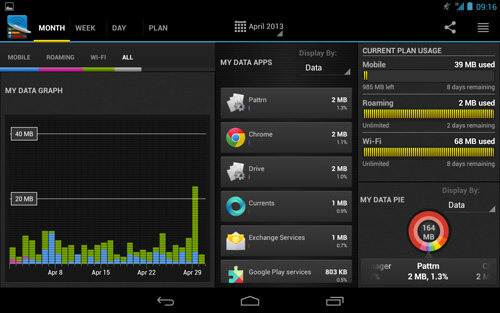 When you have a mobile data quota, the first thing you want to do is monitor your data usage. To be precise, you should monitor which apps are using most of the data and exactly how much it is using. The more you understand about where your data is going, the better you can manage your quota. Android devices come with their built-in monitoring feature but you can also opt for apps to help you with this. 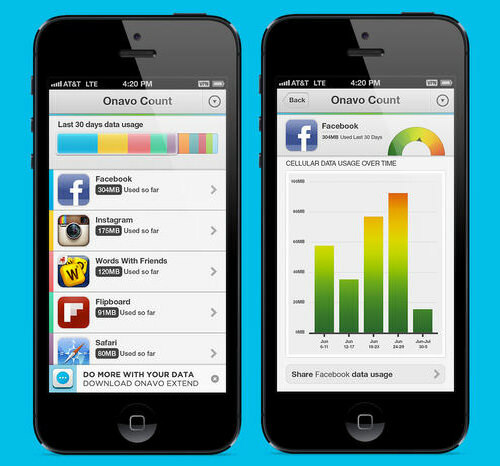 One popular app that will show you all of your mobile data usage is Onavo Count, available on both iOS and Android. 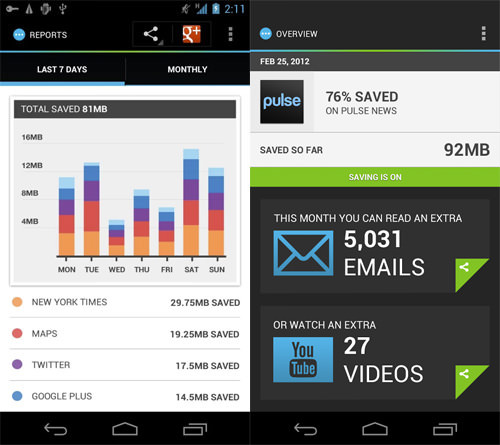 The app will monitor how much data each app is using, so you will know if you should limit the usage of the app. When out and about, you will tend to forget to monitor your data usage. That is why you should set an alarm to alert you when you are using too much of your quota. On iOS, download My Data Manager, a useful app that will monitor your phone’s data usage. You can set the amount of your quota, and when you would like the app to alert you on your data usage. As mentioned in the previous point, Android has its own built in data manager (Settings > Data Usage). You can set your data usage cycle, the mobile data limit, check the culprits that is sucking most of the bandwidth and even set your mobile data connection to automatically turn off once the limit has been breached. There are several services that allow you to compress the data you receive so that it won’t tax your data. 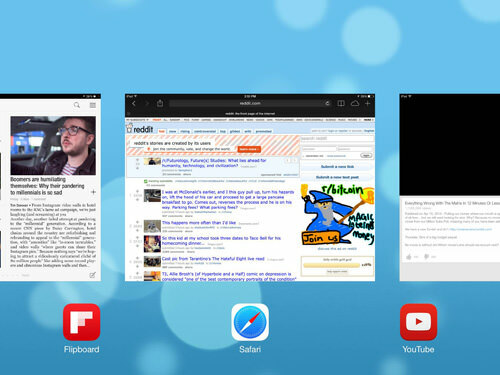 The best example of this would be Onavo Extend, available on both iOS and Android. This app will act as a VPN: before the data goes to your device, it will go to Onavo’s servers for compression. Some web browsers also have support for features like this. Chrome for Android and iOS allows you to send the data packets first to Google’s servers to be compressed, minimizing your data usage. And there is also Opera Mini, which had the feature before smartphones became mainstream. The best way to save as much of that mobile data as possible is to plan ahead. If you get to switch between unlimited Wi-Fi connection at the office, home or in university, preload as much content as possible for offline use. This will help you eliminate the need to use your data plan. 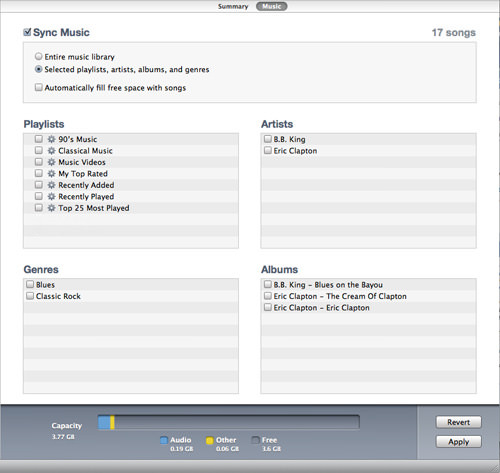 Instead of streaming, download your music and videos onto your device. Doing this can save a huge chunk of your mobile data. Some apps offer the option to preload their content only on Wi-Fi, so check to see if your favorite apps offer this. The faster your data speeds, the more you will browse. This translates to more data being used. Even if you aren’t actively using your data, background processes may still covertly do so, and you will suddenly realize in the middle of the month that your quota has run out. Whenever possible, switch to 3G or preferably, Edge. A slower speed will mean less usage by both you and the device. You would be surprise by the data you can save by doing this simple trick. Push is an extremely useful feature. With it you can get timely updates from your email, social media, messaging app among others. Many of us use it often that we forget that these little notifications uses data. And the more you use push, the more it takes from your data. 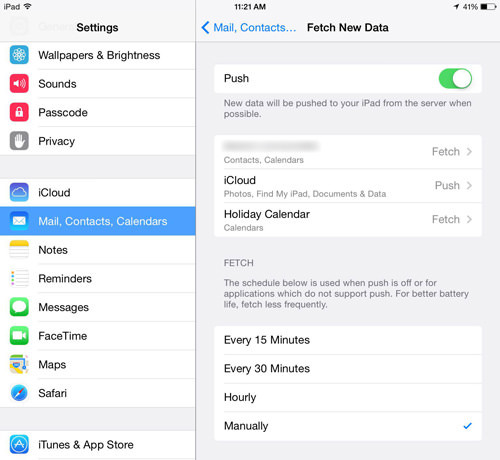 Limit the number of push request your device makes; set them up only for important apps. Ask yourself whether you really need constant updates from your social media accounts or email client every 5 minutes instead of every hour. When you close an app, it really isn’t "closed". There may still be a few background process that are running for certain reasons. One reason is that it is connected to the internet in order to finish downloading items to the app. In order to fully make sure a closed app stays closed, use your device’s task manager. In iOS, double click the Home button to see a list of currently running apps and swipe up to force quit it. On Android, see if there is a way on the app to quit the current download or if that is not possible, Force Stop the app by going into Settings > Apps and the app you wish to stop. Sometimes no matter how many time you quit or force stops the app, it will always manage to rise from the dead and continue consuming your precious data. If this keeps happening to an app you use, there is a way to completely deny the app usage of your mobile data. 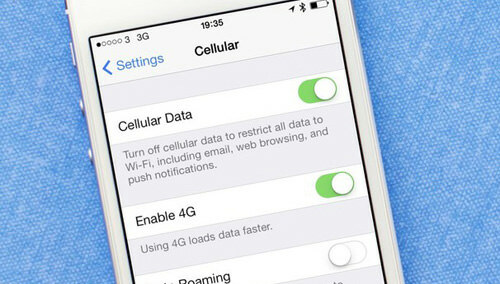 On iOS, go to Settings > Cellular and turn off cellular data for the app in question. This will prevent the app from ever using your cellular data. 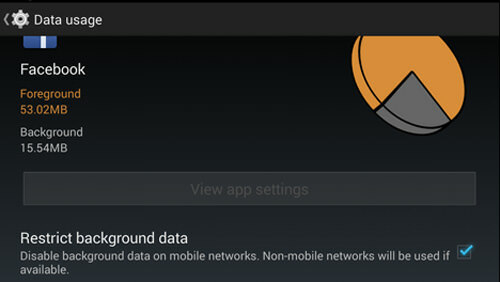 On Android, go to Settings > Data Usage, select the app in question and at the bottom of the page tick the check box for Restrict background data. Both iOS and Android allow you to update your apps automatically. As useful as it is, you may want to turn off this feature while using cellular data. In both OSes, there is an option to disable auto updating over a cellular network. On iOS, go to Settings > iTunes & App Store and toggle off Use Cellular Data. On Android, go to the Play Store Settings and tap Auto-update apps. 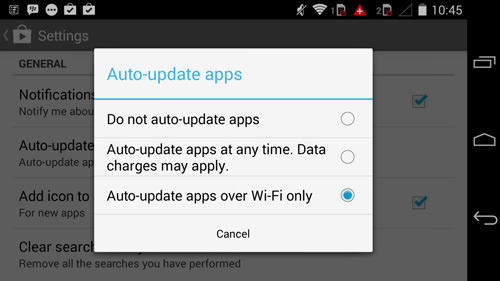 Check the box for Auto-update apps over Wi-Fi only. This is for extreme cases only. If you find that you are nearing the limit of your mobile data quota, you can always turn off your cellular data when you absolutely do not need to use it. Just turn it on when you need to fetch things online. Granted, this isn’t for everybody. You will no longer be receiving any of your messages, emails, updates as they come in, and it takes a lot of discipline for those who like to check their social accounts every other 10 minutes. But for those who have very limited quota, and are stuck this way, this tip is the way to go.